Like soldiers outfitting for battle, women once filed into a fashionable shop in the rue St. Honore in Paris hoping to find the right armor to protect them against the razor sharp wits and critics of the French Court. The shop was the Grand Mogul and it was owned by the most-sought after and highly talented dressmaker Madame Rose Bertin. 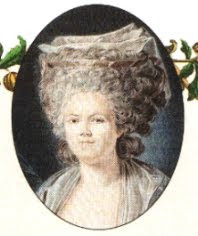 Madame Bertin had been the modiste for several fashionable and noble women including the Duchesse de Chartres, but when her grand designs caught the eye of Marie Antoinette, her popularity with the upper-crust soared. 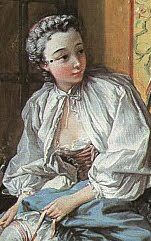 Madame Bertin became Marie Antoinette's chief dressmaker in the 1770s and designed most of her gowns. On average, Marie Antoinette purchased 150 gowns a year and most of them were from Rose Bertin. Madame Bertin would visit the queen twice a week, where they would discuss plans for new gowns. Madame Bertin would bring sketches and fabric samples and make suggestions. 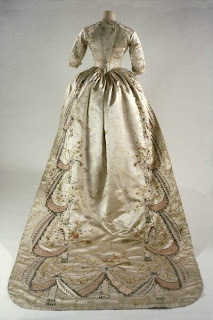 Oftentimes, Marie Antoinette would alter the designs, proving she was a talent in her own right. 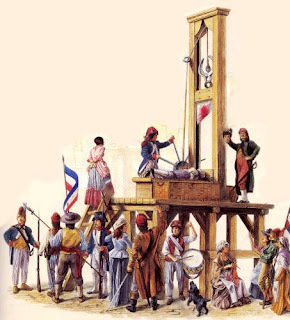 Rose Bertin suffered right along with her royal clients. When the nation declared bankruptcy, so did she. She went into exile during the French Revolution, hiding away in England and opening shop in St. James. What a beautiful gown! Wow, 150 gowns per year, that is unbelievable, I wonder what happened to those 100s of gowns!!!! Great historical facts! Merci!